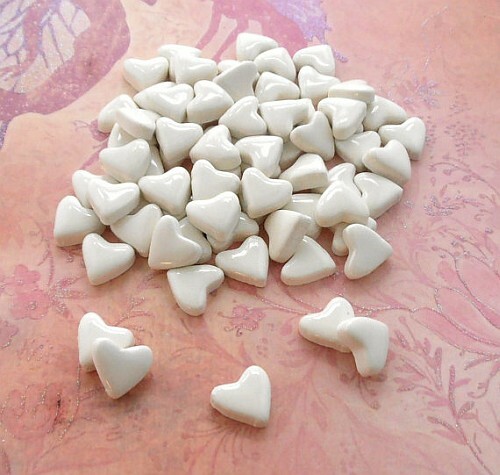 This is a set of 50 small ceramic heart shaped tiles. 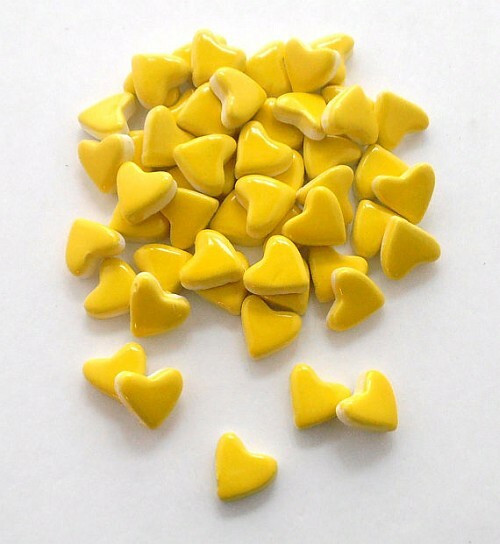 Each individual tile is about 1/2 inch (12 mm) across, please refer to picture and use ruller as a guide for the size. 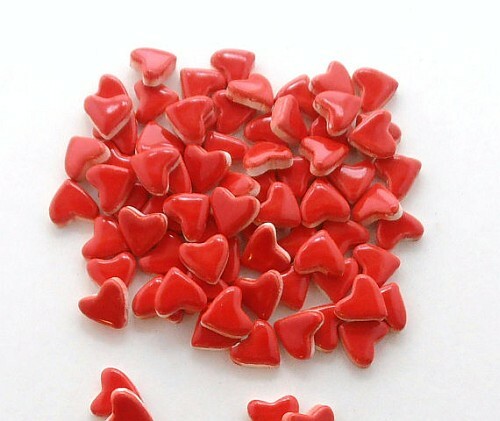 The small ceramic hearts come in neon red, glossy white and neon yellow.